- Imagine the feeling as you gently lower this fantastic bronze crown onto your head for the first time. 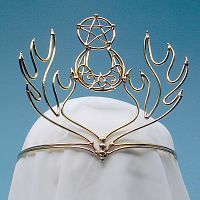 Above your brow, the Stag's antlers sweep upward to frame a crescent moon and pentacle, marking you as one who understands Nature's mysteries, and works in harmony with them. This bronze crown is eminently suited for use as ritual wear, when you are invoking the powerful masculine energies of the Lord of the Forest. 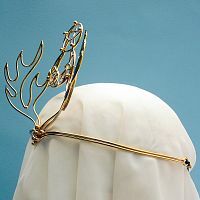 It also makes an awesome headpiece for a wedding or handfasting. 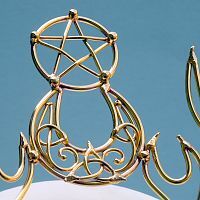 Be sure to check out our Bronze Triple Goddess Crown too, for a matching piece that is infused with more feminine energies. The Horned Moon Crown measures approximately 5 1/2" tall. 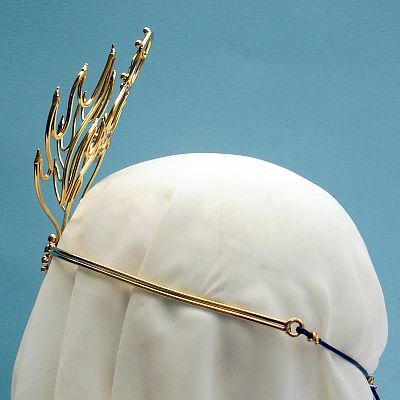 The crown is fully adjustable. It closes with cord in the back, which you can slide to make it fit larger or smaller heads as needed. 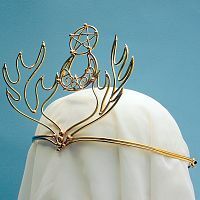 Do you have any other questions about our Horned Moon Crown? 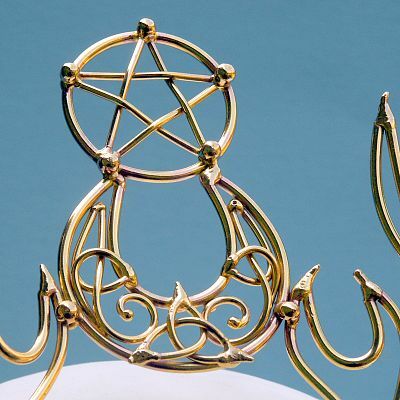 I am so impressed with this piece! it is beautiful! not only is it beautiful but as i placed it upon my head i could feel the energy of its creation and was harmoniously grounded! Blessings!!! !